Nowadays people are getting more and more concerned about their health. Everyone wants to look good and fit, but what is more important, to feel healthy. If we want to achieve this goal, we have to keep a healthy lifestyle, which includes a good diet and regular exercises. An extra weight may be a great obstacle in this way which we cannot ignore. Modern life is tough and stressful, so we do not have much time for sport. We eat, sleep, do zero exercise and that is how we gain weight. Our weight plays a great role in our life. First of all, it affects us physically. Obesity is a difficult issue, as it is the cause of many diseases, such as diabetes, heart diseases or kidney diseases. It leads to muscular pain, high blood pressure, several types of cancer and osteoarthritis. So for many people, it is vital to get rid of extra weight. Moreover, it has an effect on our mental well-being, moods, and emotions. When we are in a good shape, we look attractive and feel confident. Our self-image influences how other people see and treat us. There is a belief that weed is a nice way to lose weight. Some people may laugh when they hear it for the first time. However, there are several studies which can prove that special types of cannabis may cause weight loss. For example, a certain type of it was given to the mice every for several weeks. After the experiment, it was noticed that mice actually became thinner, so cannabis actually promoted weight loss. The recent research has shown that turning marijuana receptors on actually causes people to crave food. The scientists were thinking about what if we can turn those receptors off. 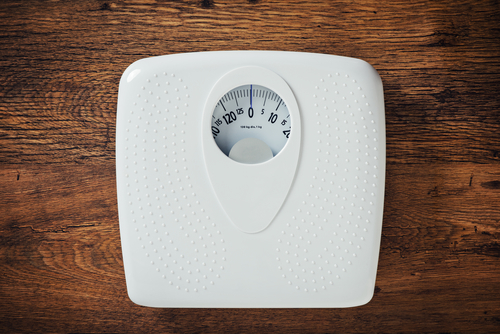 Will it cause people to eat less and as a result help to lose weight? So the scientists decided to create a medication that turns our receptors off. The experiment was held and it has shown that obese people actually lost extra kilograms with the help of this medication. But, unfortunately, there were several drawbacks. Those people, who take part in the experiment experienced depression and anxiety. Despite this, many people are advocating the use of marijuana for weight loss. They say that it helps them to accelerate their metabolism and make workout easier. If you smoke cannabis before a workout, you will be able to train harder and longer without pain. But remember that using cannabis to mask pain while training can be harmful as your pain receptors will be downward. Smoking weed creates a feeling of joy and relaxation. It helps you to reduce pain and prevents soreness on the next day. Marijuana allows more airflow to your lungs, which allows facilitating your cardio exercises. Smoking weed before running may prevent from getting your mouth dry and limit coughing as well. Moreover, most of us do not imagine weed smoker as an active person. Although, many sportsmen say the opposite. They point out that weed may be an effective tool in training. For example, Denny Prokopos, Jiu-Jitsu World Champion said that cannabis is an ultimate tool for health, relaxation and it also helps him to control his attention-deficit hyperactivity disorder. On the other side, it is helpful for every kind of workout. It was established that you should not smoke cannabis before cycling, as it will tire you faster and elevate your heart rate. An important fact to mention is that people might actually lose weight if they smoke weed regularly, so if you are an occasional marijuana smoker it does not have enough impact on you. In addition, one of the most significant advantages of smoking weed is that it also may regulate your insulin levels. Murray Mittelman, Associate Professor of Medicine at Harvard Medical indicates: “Their fasting insulin levels were lower, and they appeared to be less resistant to the insulin produced by their body to maintain a normal blood-sugar level”. The researches want to emphasize that there are real benefits of using weed. It is necessary to note that the scientists found the correlation between consuming marijuana and weight loss but still, the causation has not been determined yet. However, many people see it as a magic solution to their problem with extra weight. Some of them sit on a marijuana diet which consists of edible marijuana and water; others add juices of raw cannabis to their daily menu. But it does not mean that if you are obese, you have to start smoking weed. It is true, that people who consume cannabis for a long time do not usually have extra weight. One of the researches has shown that cannabis leads to gaining weight in people who are underweight, and it leads to weight loss in people with normal weight or who are obese. Yes, consuming cannabis may help you to get rid of unwanted kilograms, but it is a wrong way to do it. Weight loss is noticed only among chronic smokers. Smoking cannabis might badly influence your health. It affects your memory, attention, perception. It leads to impulsiveness, anxiety and makes you even accident prone. Fortunately, smoking weed is not the only recipe to lose fat. If you really want to become healthy and get a good shape, you need to understand that it is a long way which is not easy to carry on. Nobody can do overnight. Sometimes we have to push ourselves and do not stop no matter what. Without any doubts, weight loss is a great issue, which needs to be discussed!